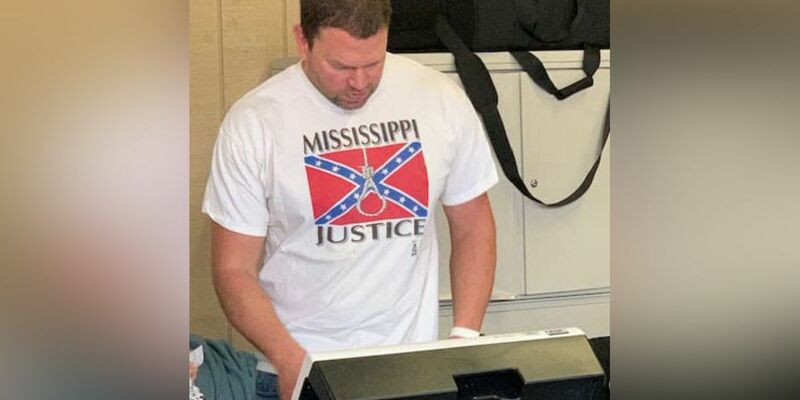 MEMPHIS, TN (WMC) - A Mississippi man has gone viral for wearing a wildly racist shirt inside an Olive Branch polling place during Tuesday’s elections. Now, amid accusations of voter suppression, more shocking revelations have come out. WMC Action News 5 has learned the man treats patients at a Memphis hospital. The man in the shirt has been identified as Olive Branch resident, Clayton Hickey. His T-shirt said “Mississippi Justice” and showed a noose prominently displayed in the middle of the Confederate flag. His fellow voters, including African Americans, were so horrified that one of them snapped a pic of Hickey. Less than 24 hours later, Hickey’s employer Regional One Health, is investigating. On his way to visit his daughter at the hospital Wednesday night, Don McCoy took one look at the photo and said, "The noose on there says racism and discrimination." McCoy, a 67-year-old African American man, grew up in Memphis during turbulent years. He remembers being cursed at, spit at and having things thrown at him for no other reason than for walking down the street. Clayton Hickey’s fashion choice, he says, represents hatred and evil. 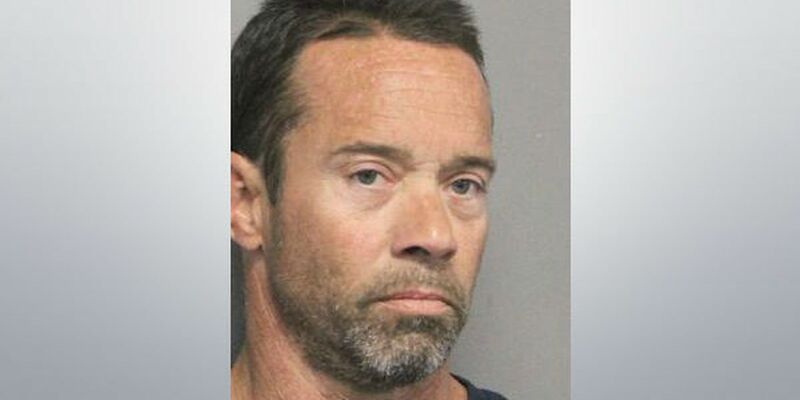 "It says to me, in my heart," McCoy told WMC Action News 5, "that I think they might do something, you know, chemically or even physically to someone in the hospital." Hickey's picture was equally worrisome to John Segerson, who's white and recently released from Regional One's emergency room. "I don't like the noose at all," said Segerson, "it makes me wonder what kind of preferential treatment he would give any person." Before Clayton Hickey was tending to the sick and injured at Regional One as an EMT, he was a Memphis Police officer. But he resigned in 2010 after getting caught with an underage girl and alcohol in his car. Don McCoy says he's concerned, too, but not all that shocked. 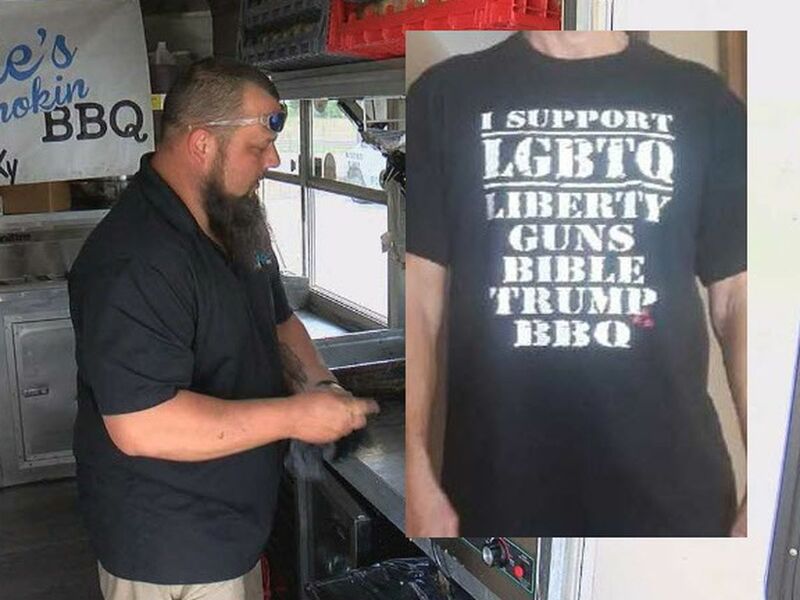 "I mean, I hate to see stuff like that," he said of Hickey's racist shirt, "but you know, just think of the people that feel that way who don't wear the t-shirt, you know? That's just how the world is."